We appreciate that when it comes to designing your ideal bathroom one size doesn’t always fit all – thats why we’ve created our Curated Bathrooms service – for customers who’s needs go above and beyond the everyday. Drop us a line with your contact details and one of our design team will be in touch. Through consultation with your appointed interior design expert here at Salacia we’ll be able to define your needs and aspirations, understand the opportunities and limitations of your space and get to grips with your technical and budgetary constraints. We’ll then carefully select just the right combination of products and accessories, visualised within your space, to ensure you achieve the bathroom environment of your vision. Tell us all about your ideas and spaces – we’ll help organise your thoughts to establish a clear design brief for our creative team. Using product options and loose sketches we’ll begin to bring your vision to life. 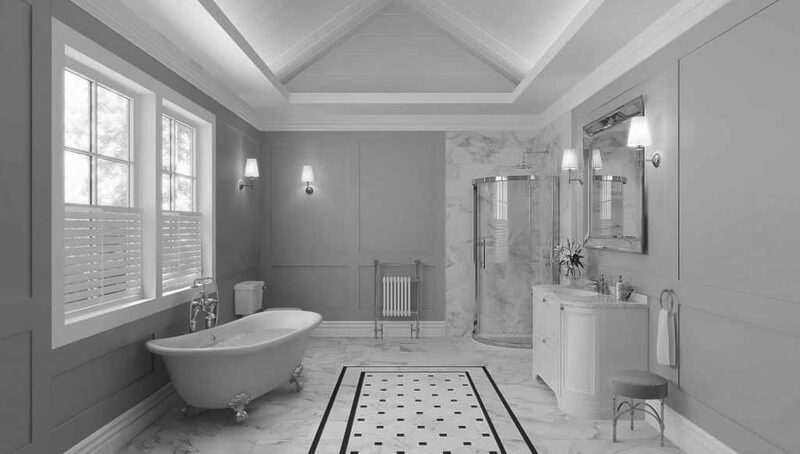 With your product selection defined and spaces modelled we’ll create stunning CGI’s of your new bathroom environment. Once you’re happy with the scheme we’ll arrange a convenient delivery date for your curated bathroom order to arrive at your door. As the process is tailored to your requirements so the charge for this service is tailored to suit the specifics of your project. Once the briefing stage has been completed and a clear understanding of the scope is established we’ll confirm the Tailored Bathroom service charge to you. Note: You can select multiple files by holding CTRL (windows) CMD (Mac). Photos of friends places or amazing bathroom spaces you’ve experienced. Once appointed your Salacia interior designer will get to work creating the bathroom of your dreams beginning with the generation of a Concept Design. Once you’ve received this package and reviewed the contents we’ll take your comments (as there inevitably will be some comments), refine the concept design accordingly and reissue the package with Revision A status. Once you’ve reviewed the Revision A package the concept design stage is signed-off. With a signed-off Concept Design in place we can begin to apply the detail to your scheme. Its now time to review all the details of your tailored bathroom order. Once you’re happy that everything is correct simply contact your Salacia design consultant and your order will be collated, packaged and delivered to your door. Finally we’ll follow up with you to see how the installation is progressing and answer any site-related design questions you may have. And from here you get to enjoy the sanctuary of your dream bathroom in peace, with products carefully tailored for your needs by the design team from Salacia of London.